This left / driver side a-arm was compatible with for the following Yerf-Dog go kart models: 3002, 30033, 3200, 3202, 32001, 3203, 3203A, 30034, 30032, 3205, 3208 and 30012. It was referenced by the following part numbers :01758, 01263, 01756, 04248 & 03068. 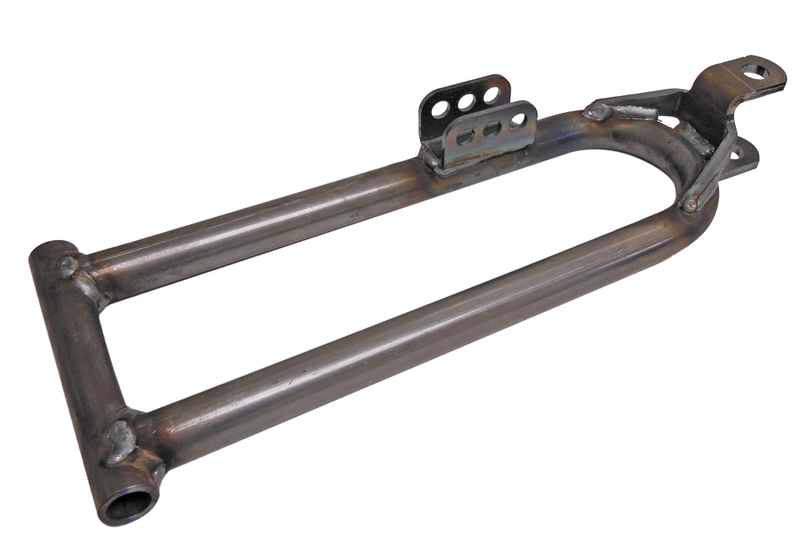 Overall Length of Arm with Bracket: 16-1/4"
Allow 1-2 additional days for order processing, because the a-arms are made to order. Better Quality than OEM, twice the welds double the quality steel, cannot lose.